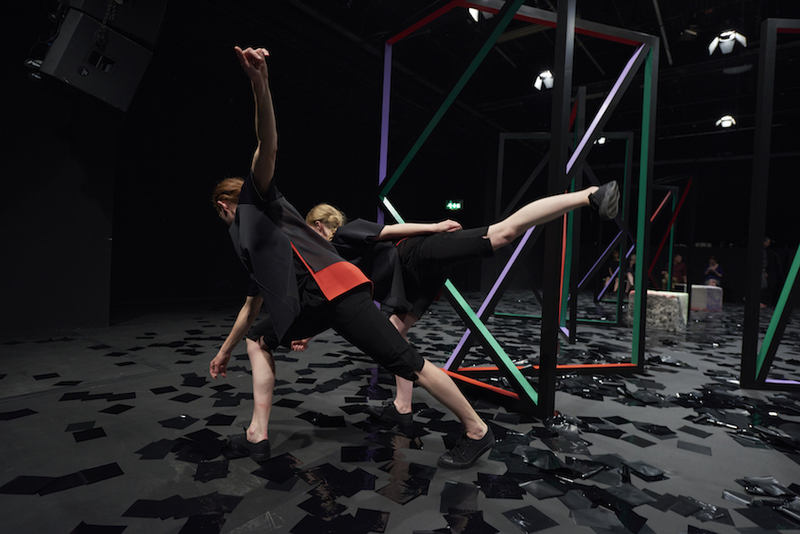 Sculptor Eva Rothschild and choreographer Joe Moran take the first step in a fresh new collaboration for Block Universe performance art festival in partnership with fig-2, an independent project resident at the ICA. Navigating the meeting points and tensions between their sculptural and choreographic concerns, Rothschild and Moran explore the shared and conflicting materiality of the body and the sculptural object. 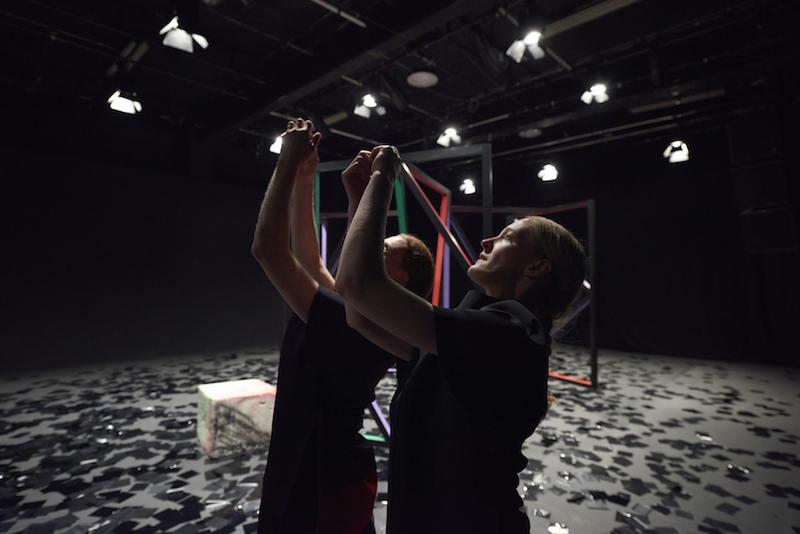 Presented in both the Studio and Theatre at the ICA, A Setup brings existing film and performance works into relationship with new sculptural interventions. 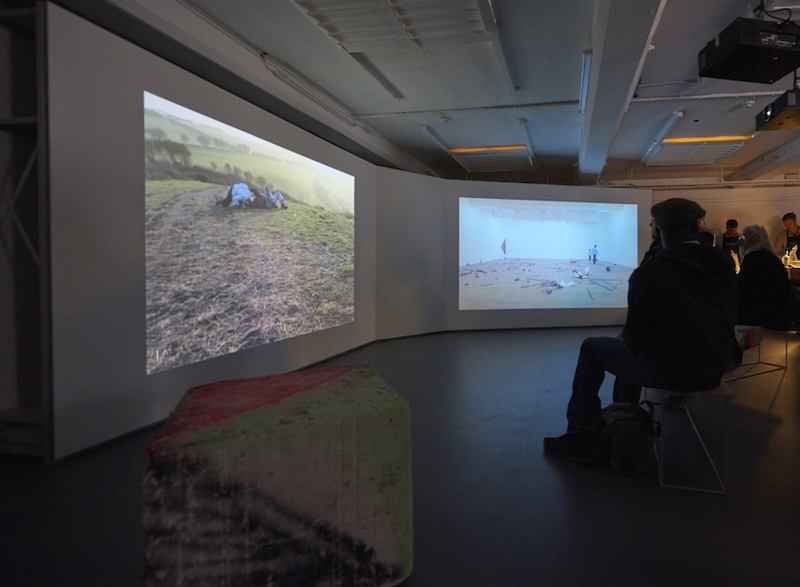 A Setup merges two practices by bringing existing ﬁlm and performance works into relationship with new sculpture taking place at ICA Studio and ICA Theatre: while Rothschild’s ﬁlm Boys and Sculpture (2012) and Moran’s In Land (2008) are shown in the ICA Studio with benches by Rothschild, Moran’s durational performance installation, Singular (2011) is performed in the ICA Theatre with sculptures made for the space by Rothschild. Joe Moran is a choreographer, dancer and Artistic Director of Dance Art Foundation, through which his performance and curatorial work is produced. His work has been presented in theatres, galleries and public spaces gaining recognition for its ambition, complexity and intelligence. Recent commissions and touring include Block Universe/fig-2 at the ICA (2015) the first step in a collaboration with sculptor Eva Rothschild, David Roberts Art Foundation (Frieze, 2014), Nottingham Contemporary (2014), Assembly (UK tour, 2014), The Modulated Body (2103) commissioned by Ordovas for its Bacon/Rodin exhibition, and The Place Prize (2013). His first drawing exhibition, Tracks and Lines was presented at Gallery Lejeune (Oct – Dec 2015). Moran’s recent work Arrangement will have its first stand alone UK and international tour in 2016-17. Joe Moran is a Dance4 Associate Artist, Sadler’s Wells Summer University artist (2015-2018) and C-DaRE Affiliate Artist. Artistic Director of Dance Art Foundation, he also directs its sister creative agency Dance Art Ltd. Joe trained in theatre at Bristol University and in dance and choreography at London Contemporary Dance School. Irish artist Eva Rothschild lives and works in London. She is one of the most highly regarded artists of her generation having achieved international acclaim for her practice involving conceptual and socio-political ideas alongside more traditional approaches to making sculpture. Her work is included in a number of public and private collections including Tate Britain, MoMA and Irish Museum of Modern Art. Recent solo exhibitions and public commissions include Hugh Lane Gallery, Dublin, 2014; large-scale sculpture Why Don’t You? at The Nasher Sculpture Centre, Dallas, Texas, 2012; the film Boys and Sculpture, The Whitechapel Gallery Children’s Art Commission, 2012; Hot Touch, the inaugural exhibition at The Hepworth, Wakefield, 2011 (toured to Kunstverein Hannover, Hannover); Empire, Public Art Fund Commission for Central Park, New York, 2011; and Cold Corners, Tate Britain’s Duveen Gallery commission, 2009.